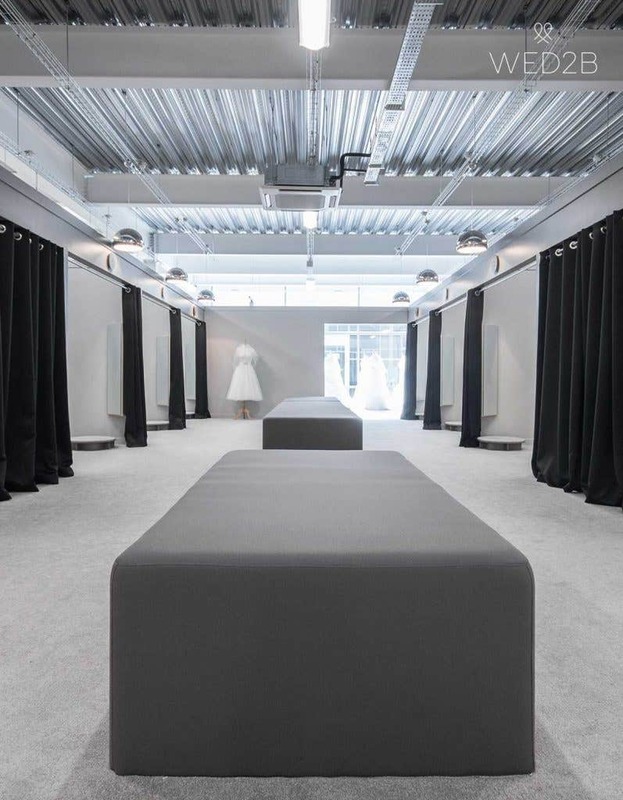 You may be feeling a bit nervous about your first wedding dress shopping experience or just not sure quite what to expect. We've put together this guide with handy tips and advice to help you have a stress free wedding dress shopping trip. 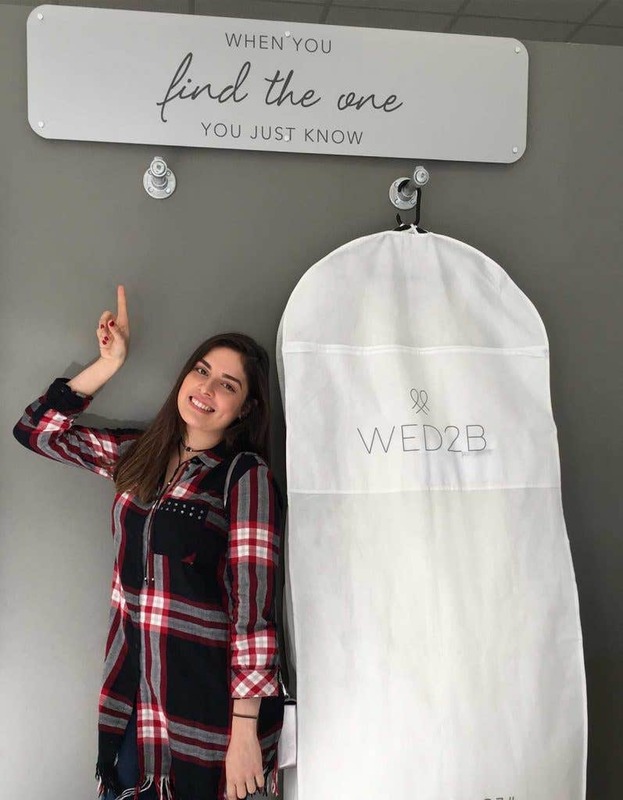 Preparation for your wedding dress shopping trip! 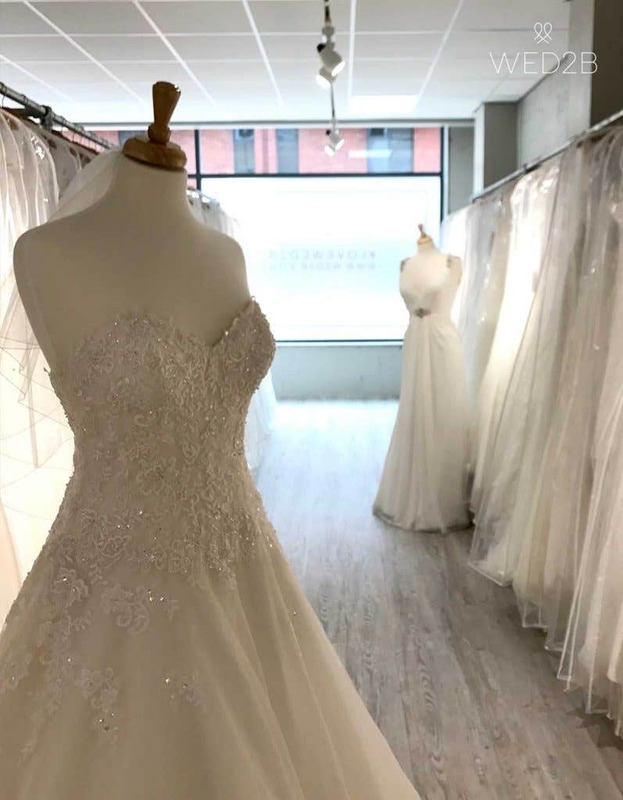 At WED2B, all of our bridal shops nationwide are open 7 days a week and we don't operate an appointment system so you can just drop in whenever is convenient for you. Before you visit we recommend having a look online and picking out some styles you would like to try, then call us on 0333 123 7494 so we can double check stock availability. Take some time to think about your wedding underwear, it can make a big difference to how a wedding dress fits - read more here for our top tips for perfecting what lies beneath! Take your time, relax and have fun! 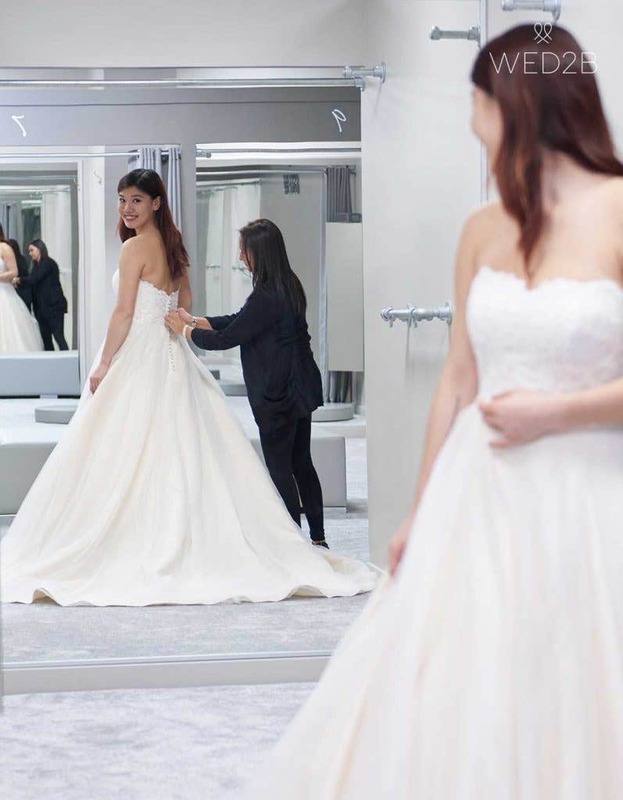 As you step through the door one of our expert stylists will greet you and talk you through the process, they've been lucky enough to help hundreds of brides find their dream dress. With 5 unique bridal collections to choose from there is a wedding dress for every bride and every special day at WED2B. Take your time to freely browse our range of wedding dresses, carefully organised into sizes and all priced under £699*. You can browse to your heart's content! If you're not sure what you're looking for, our bridal stylists will be happy to offer advice and suggestions based on the styles you like and what suits you. Finding the perfect silhouette to suit your shape, size and style can seem daunting so read our guide on wedding dress shapes to understand the key differences to consider. Don't be discouraged from trying on a bigger dress - you may find the perfect dress in a size bigger than you normally wear, but most of our gowns can be taken in up to two dress sizes! Keep an open mind when it comes to choosing styles to try. While you may have a clear picture of what you want your dream wedding dress to be, it's still a good idea to be a bit flexible, as you may end up falling in love with something you'd never have considered before! It's easy to feel overwhelmed and confused as there are so many dresses to choose from, so start with your favourite four which will be taken and hung on our special 'order of service rail'. They'll wait for your there until it's your turn to try! Relax with your entourage on our comfy sofas until a fitting room and one of our expert bridal stylists become available. Our fitting rooms have been carefully designed with plenty of space for family and friends to wait outside. Step up onto the podium as the curtains open and you show everyone your dress. Our expert stylist really know their stuff, they'll help you try on each gown that you've picked and complete the look with fabulous finishing touches from our Amixi Accessories range. Take a look at our guide to veil lengths and styles for more inspiration - even if you're unsure it's worth giving a veil a try - it can really add magic to your bridal style. Wedding dress shopping can be exhausting! There's no time limit at WED2B, so don't worry if you feel like you want to try on a few more styles, just go back to the rails and pick out your next four. Choosing your wedding dress is a big decision so it's ok to take your time, re-fuel with a lunch break or visit again with different members of your family and friends. You might only get to go wedding dress shopping once in your life so make the most of it! There is never any pressure to buy, but just remember that our exclusive dresses are off-the-peg and limited edition. Finally, when you do find 'The One' - you'll just know. And the best thing of all - you get to take home your dream dress the very same day! 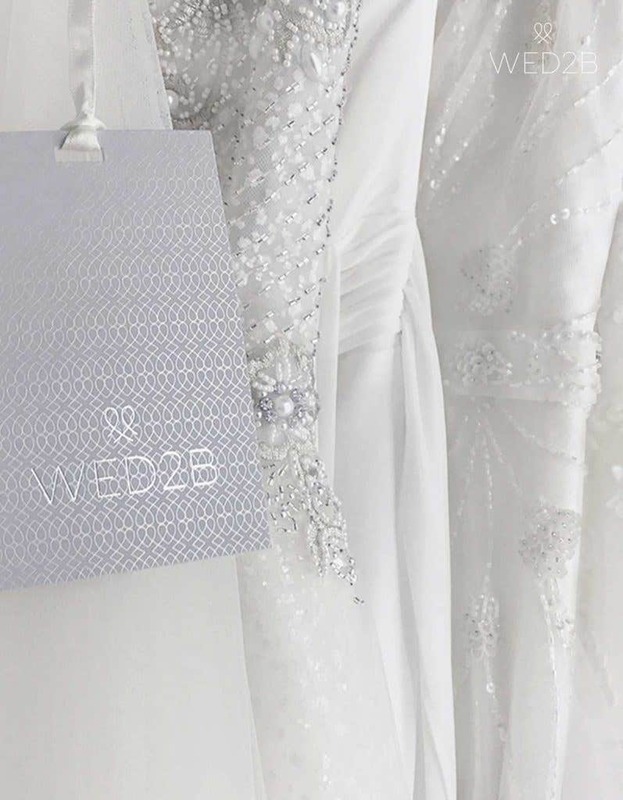 We also offer brides the option of purchasing a breathable fabric dress bag, to store your dream dress in perfect condition leading up to your big day. Or if you're going abroad for your wedding a travel, our stores stock specialist travel boxes. Drop in and experience the magic of wedding dress shopping at one of our bridal stores nationwide today. Find your nearest WED2B here.